This hotel is a fabulous venue for karaoke drawing a crowd from all over Sydney. Karaoke uses the house sound system which we supplement with a foldback speaker for the convenience of the performer. They karaoke lyrics are presented to the audience on a large projector screen behind the stage. We also supply a TV monitor so for the singer to read from. 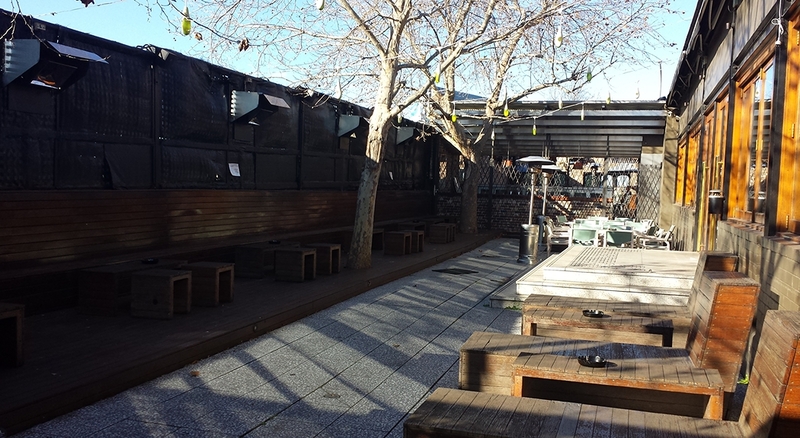 A two edged benefit of this venue is the beer garden. Much of the crowd occupy this space during the show because it has a clear view of performances through large glass windows . The outdoor speakers play the karaoke so they don’t miss anything being outside. However it means the auditorium where the karaoke is held can feel a bit sparse. Despite this the show has been well patronised and the dance floor is often filled with revellers. 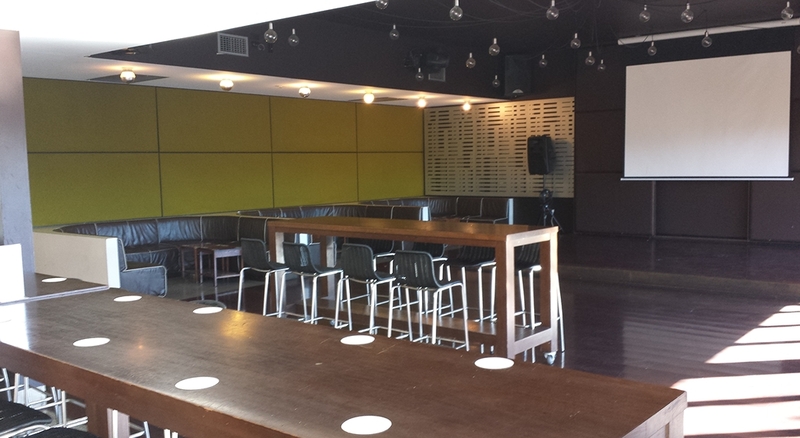 The Collingwood has recently added karaoke nights on both Thursday and Saturday. This has presented us with the challenge of building up a following on a night when there are several competing karaoke shows in the area. This is an opportunity for Karaoke Samurai to test the effectiveness of our online promotional channels. We have also provided in house poster design to promote the karaoke to regular patrons. Regardless of local competition we are confident in bringing the numbers. This is an outstanding venue for karaoke and the venue management is very karaoke friendly and a pleasure to work with. Karaoke at the Collingwood is on every Saturday from 8 pm. Check out the review.